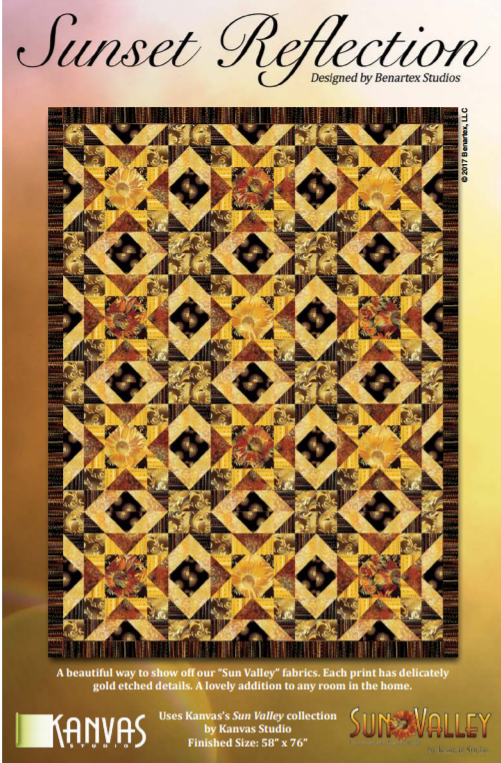 Free pattern for the Sunset Reflection�quilt, courtesy of Benartex Fabrics/ Kanvas Studio. � Designed for "Sun Valley" fabrics by Maria�Kalinowski for Kanvas Studio. �Finished size: 58" x 76"